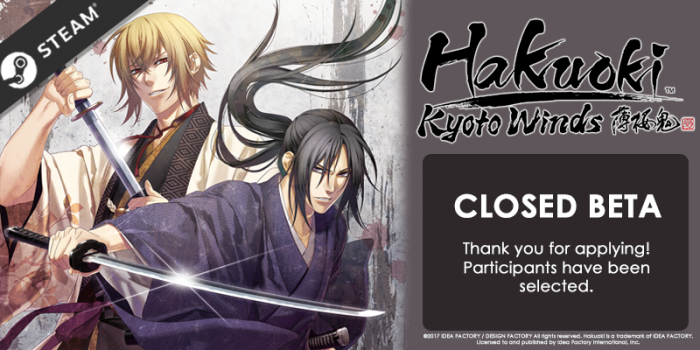 Thank you for applying to the closed beta for Hakuoki: Kyoto Winds for Steam! Look forward to the Steam release this summer! We are no longer accepting applications. Participants have been contacted.